Just lately I have had little time for as much sewing as usual, and large projects are becoming increasingly difficult to find time for. 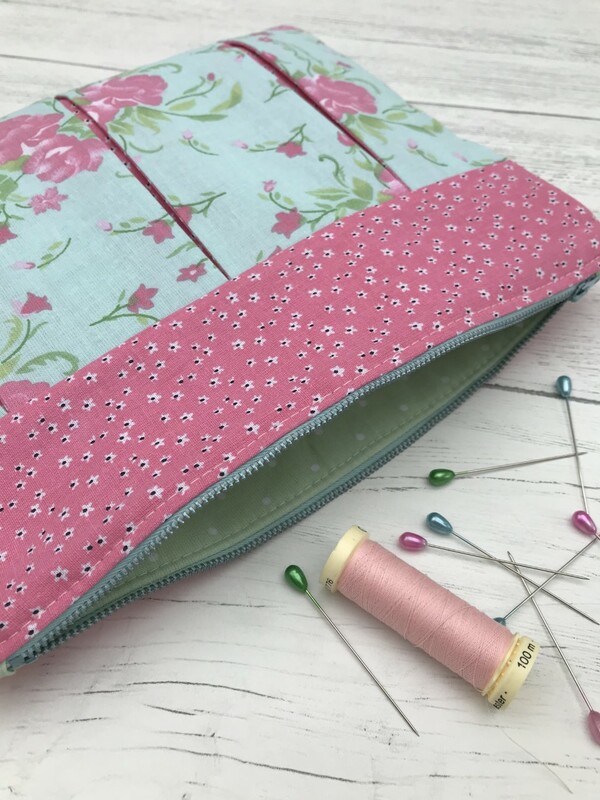 Smaller, quicker projects like The Pleated Zipper Pouch are ideal not only for giving you that quick sewing ‘fix’, but are perfect for using up those leftover scraps that we all have lurking in our stash. 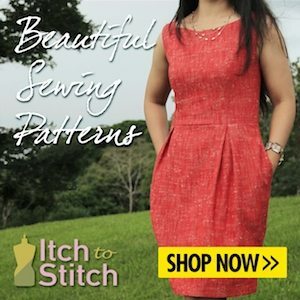 Recently The Stitch Sisters launched their long awaited online sewing classes, perfect for those who long to take a class with them, but simply live too far away. Nikki and Rachel are two adorable friends who started off by holding sewing classes at their homes. Their friendship is adorable to watch, and if you aren’t familiar with them I would encourage you to take a peek at their Instagram feed for some sewing inspiration, and of course their youTube channel for regular fun sewing challenges, tutorials and more recently their completely addictive ‘what we have been loving this week’ videos. So, back to the sewing. In this online class Nikki takes you through the process of making this zipper pouch in a series of individual videos. Each step is easy to follow, and explained thoroughly and clearly, perfect for everybody including beginners. All cut out and ready to go! (The zip is an old one that is being re-used). I used some old quilting cotton that I had in my stash, which is perfect for this project. You will get good results on those pleats by using fabric that can take a good presssing. The seam allowances on this are 1/4″ and whilst you can use the engraved seam guide on your foot plate to give you an accurate line to follow, I remembered that I had a 1/4″ presser foot that I had purchased when I tried some quilting some time ago, so used this for this project to get the perfect seam width. I rarely use this 1/4″ presser foot, but it was brilliant for this! The whole project comes together quickly, and I enjoyed the process of simple sewing with rectangles – such a relaxed afternoon! The zip insertion is nothing to worry about if you are new to that, I re-used a recycled zip that I had in my ‘old zips’ bag, and although it was a little shorter than recommended, it was the perfect colour, and the use of the clever fabric tabs at each end made it easy to fit neatly. For those of us who like our sewing to look just as good on the inside as they do on the outside, the pouch is fully lined. It’s the perfect gift (if you can bear to give it away when you’ve finished)! The finished pouch is quite large – you might be surprised at just how much you can fit inside it. I recently made an evening clutch bag with this pattern, and whilst I used completely inappropriate fabric that time (velvet)! it still turned out really lovely and I enjoyed using it on my evening out. I share a picture of that bag on my blog post here. Thank you to The Stitch Sisters who kindly gifted me this class to review, I would like to mention that I enjoyed it so much that I have since purchased The Boho Button Bag from their website and very much look forward to making that up soon. I rather like the look of the QAYG fabric baskets too …another scrap busting temptation..